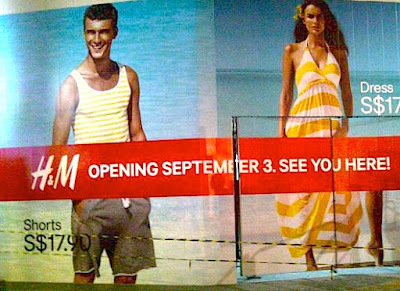 I was in Orchard the other day and I saw huge signs announcing H&M's opening in Singapore, just across Orchard Cineleisure. Now I can hardly contain my excitement. You've kept us waiting for far too long, H&M.